Last months were filled with joyful Quake related events. If you’ve been reading Inside3D forums or QuakeOne.com, you know what I’m talking about. I really like seeing new projects take off, new faces, old faces, and releases upon releases. Quake’s arena has been so active that conflicts have arisen. Back to our news, the mod-formerly-known-as-chipquake is now known as Rogue. Why Rogue? Because the main character is a rogue. You play a rogue. What’s so difficult in the indie scenery and the abundance of mods and conversions is finding a name. A suitable name to gather all aspects of the game. While Rogue is a DarkPlaces based total conversion, and is based on my sick imagination, hundreds of science fiction books and a grunge, noir world, I feel that “Rogue” conveys a clear message and is the most suitable name for this. After my “engine stripping” adventures, and several obstacles, I learned a bit more about engine programming and I was able to get a cleaner engine as a base for the game. You may have noticed I’m not totally sure yet if I should call it a total conversion or a game. Anyway, the first milestone, 0.1, has finally been reached and internally released for testing. 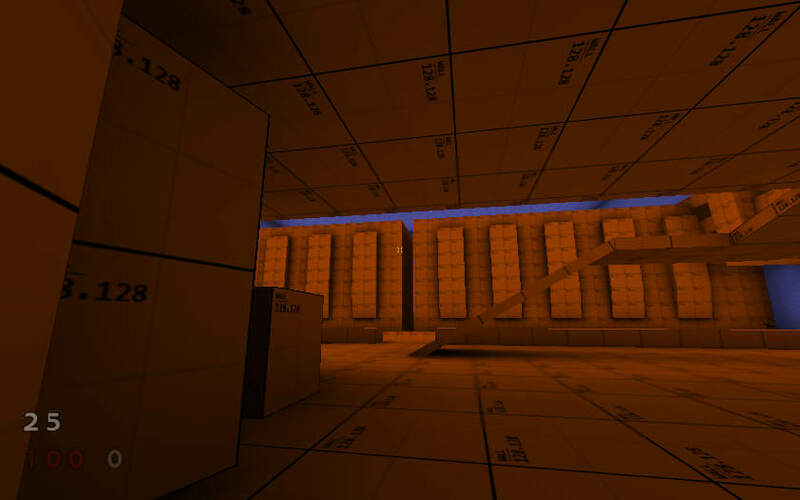 This few screenshots show the first map progress. 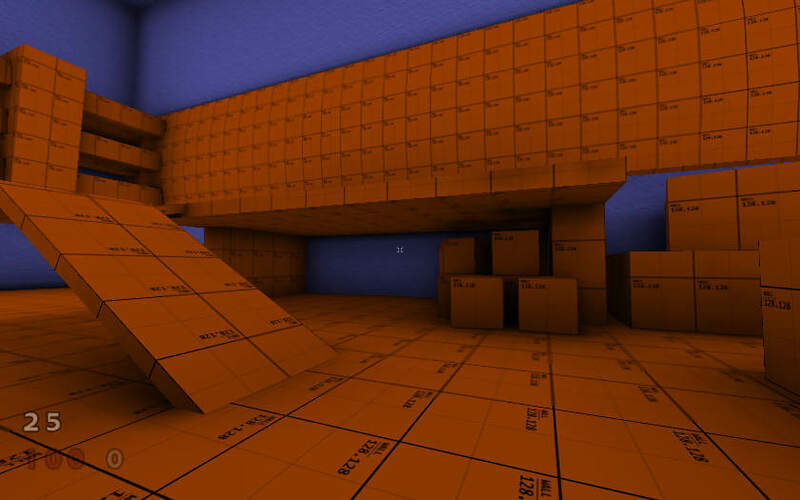 It’s a test map showcasing all engine features, such as lights, shadows, ambient occlusion (currently generated by Q3Map2), and scripting features, such as pipes, models, objects, ladders, items and more. 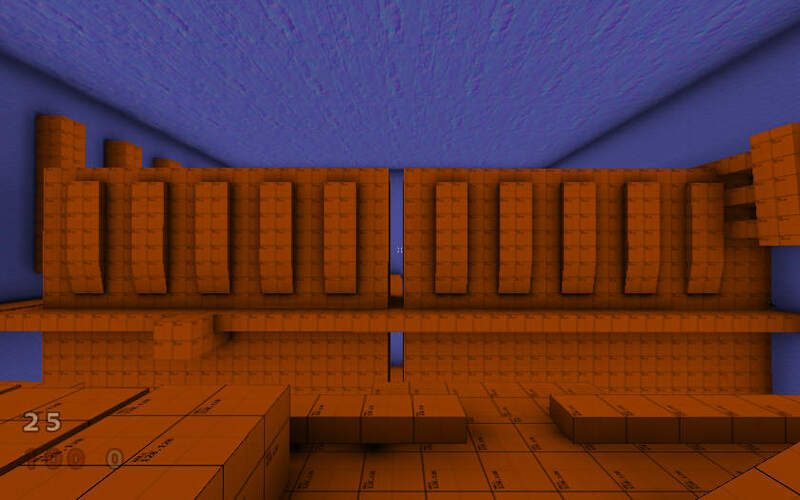 There’s also a movie for this map, just ignore the low frame rate part where some process took over the processor. I’ve set up a Trac project manager for Rogue. Makes my life easier and keeps everything more organized. Hopefully I’ll soon get one more member to join Rogue’s development as an art manager, dealing with texture creation and overall graphics impression of the first map. The title of this post is overly enthusiastic as you get to see only several screenshots and a movie, but make sure you watch this site as news will come pouring in in the weeks to follow. It’s the same area, the Strawberry Bar’s room of crates! 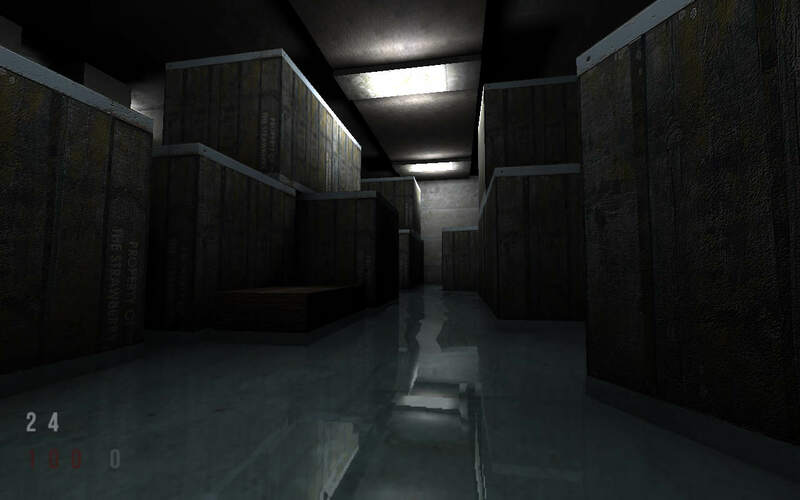 Flooded room of crates, actually, with custom textures and a pretty water shader. It will be back in a future version, with more access ways, lights, and neat stuff.